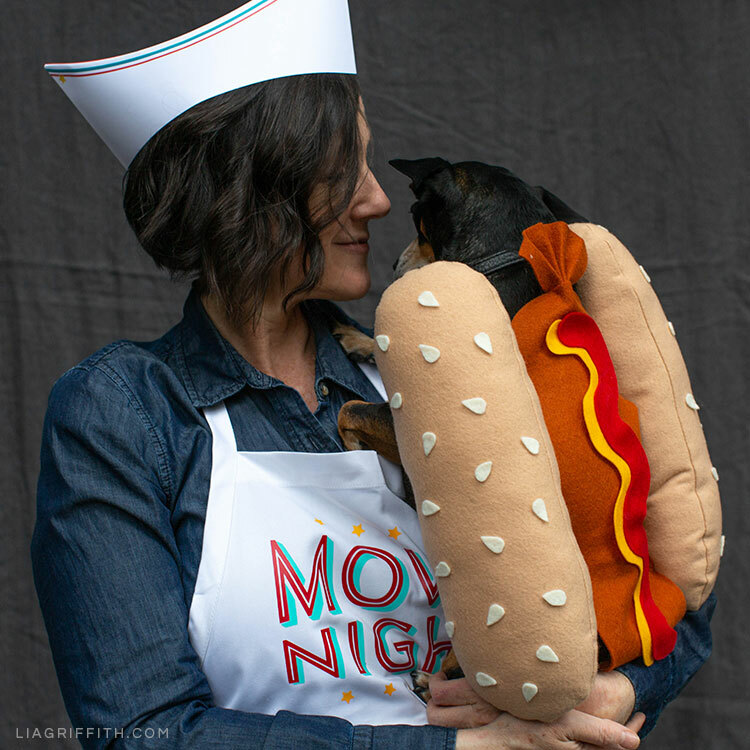 Do you like to dress up your pets for Halloween? If so, we’ve got a great idea for you! 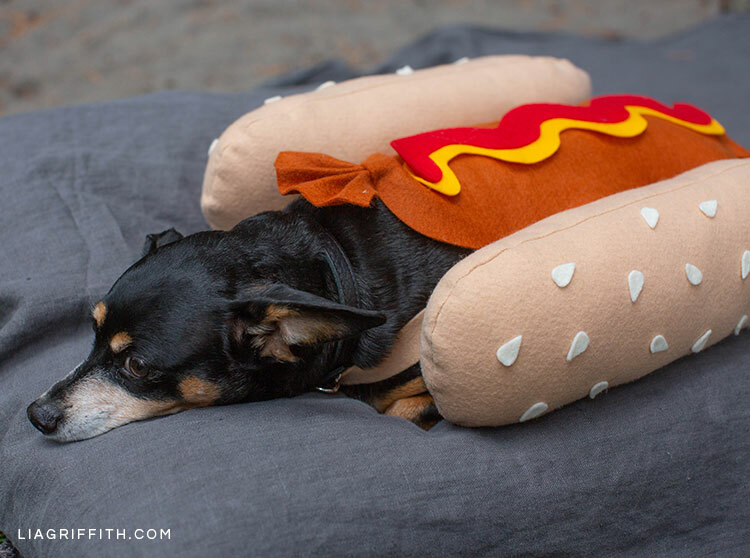 Today we’re showing you how to create this DIY hot dog costume for your dog. And for the owner—this concession stand outfit! 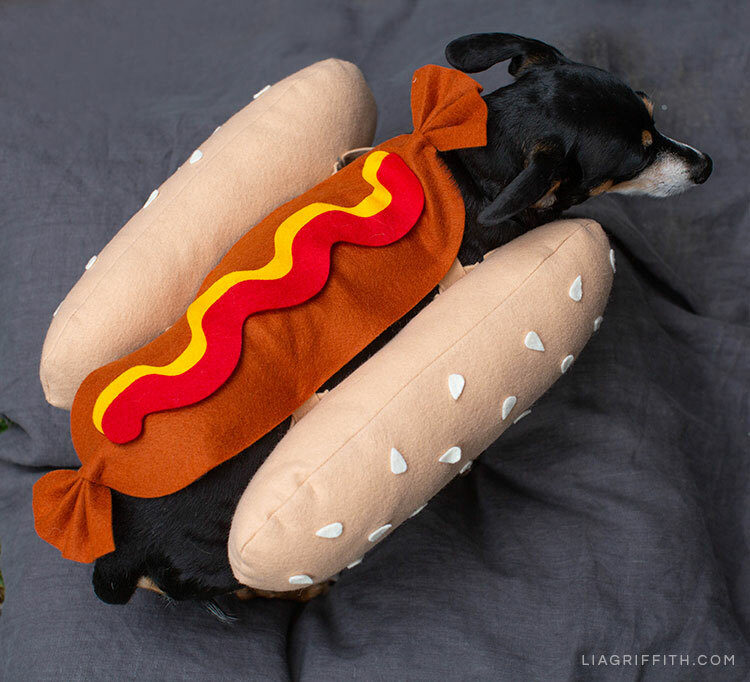 Doesn’t Enzo look so cute in this DIY hot dog costume? He’s such a good sport. Last year, we made him this dragon costume. If you’re a fan of Game of Thrones, you should check that one out. 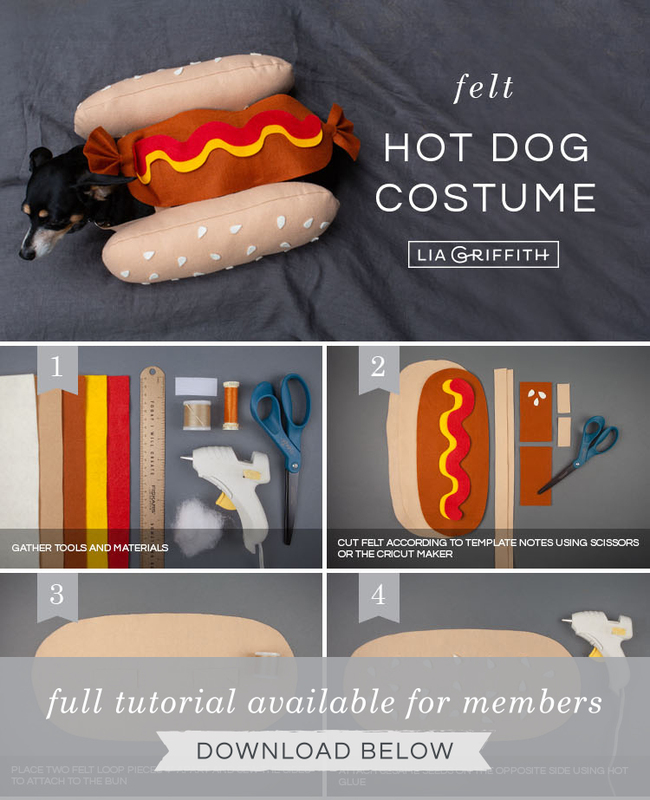 Anyway, this hot dog Halloween costume is a good project for those of you who like to sew. 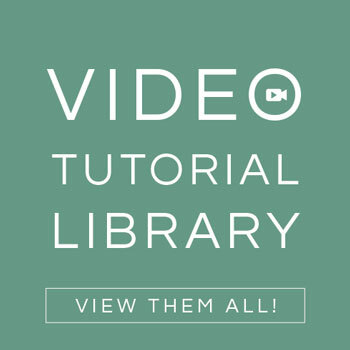 As usual, you’ll find all the tools and materials listed here as well as the instructions. You can also follow our step-by-step photo tutorial or print the instructions below. If you have any questions, just ask! For the concession stand outfit, go here. All it requires is printing and folding a paper vendor hat and using our iron-on “movie night” design for the apron. 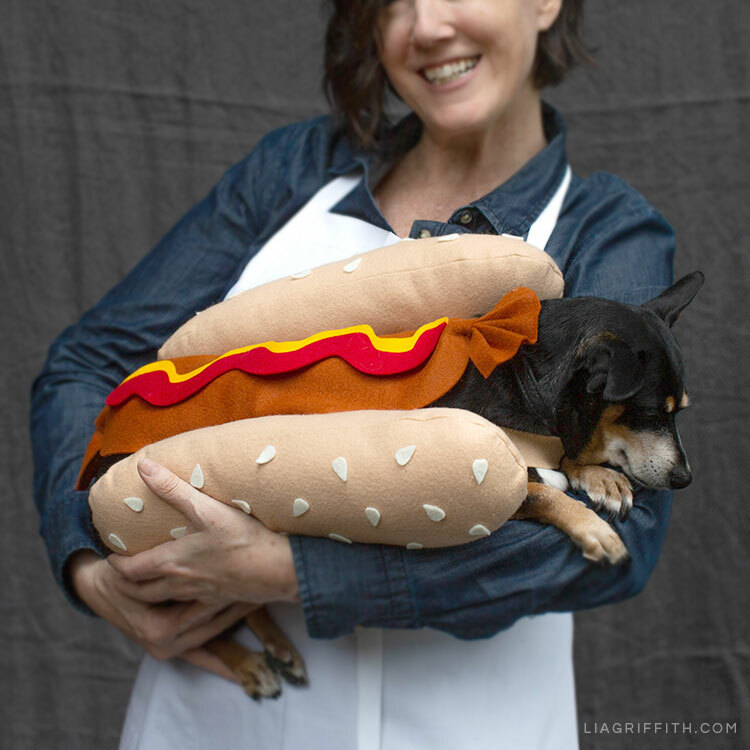 If you end up making this DIY hot dog costume for your dog, we’d love to see how it turns out! Make sure to use the hashtag #MadeWithLia when you share your photos on Instagram or Facebook. Gather tools and materials. Then download the template you need below. 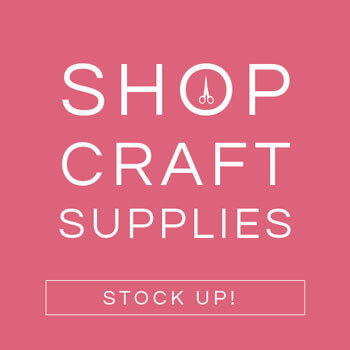 Cut felt according to template notes using your scissors or Cricut Maker. Place two felt loop pieces 4″ apart and sew the sides to attach to the bun. Attach sesame seeds on the opposite side of bun using hot glue. 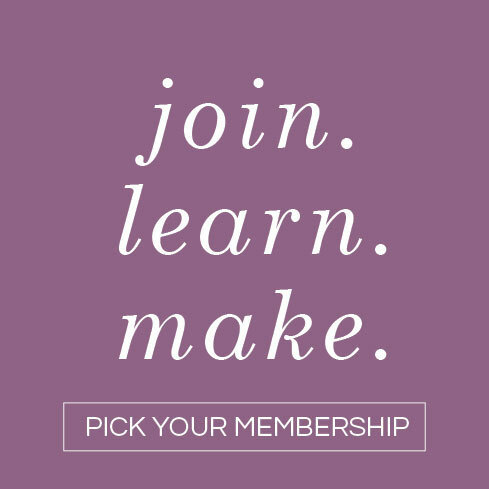 Like making things for your pets? 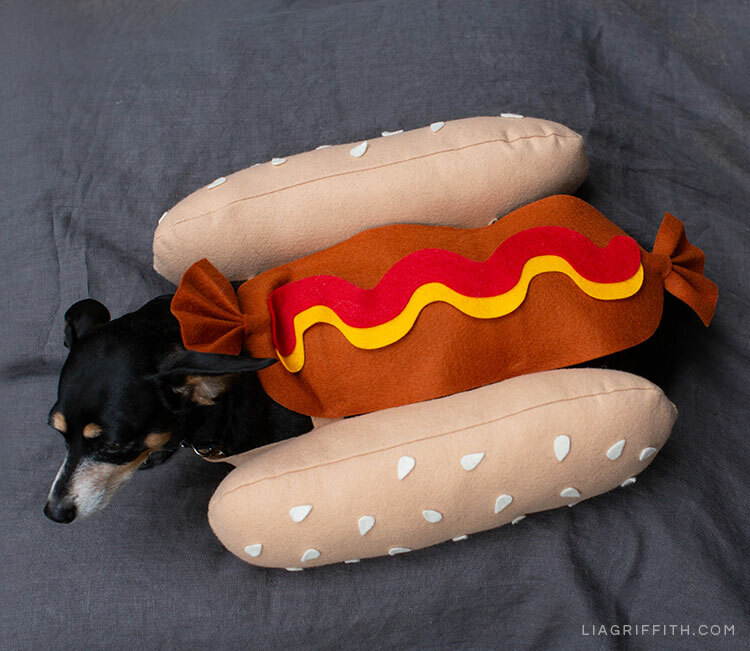 You can find more DIY ideas for pets here. We’ve also got a lot of Halloween ideas for you to explore! For more DIY inspiration, you can visit our social pages to see our latest Halloween projects. We’re on Instagram, Pinterest, Facebook, Twitter, and YouTube.